No doubt you’ve heard about property investment. A few days ago I wrote an article including some property investment tips. Today, I want to talk about a few reasons why investing in property is such a great idea. When you invest in something, you want to know whether there is a demand for it. There’s no point spending your money on something that you can’t sell on. The whole purpose of investing is to make money, no matter how long it takes you. With property investment, there will always be a demand. People are always going to need houses to live in. So, if you invest in a property, there will always be someone out there that’s willing to buy it. There will never be a time where people stop needing homes. In fact, the problem at the moment is that there are too many people and not enough houses! 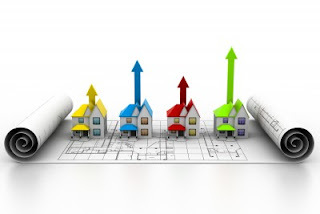 There will always be a property market, and there will always be a demand for properties. This makes it a very profitable market for investors. One of the things I like most about property investment is that it’s easy to get into. Unlike a lot of other investments, you don’t need bags and bags of knowledge. And, you don’t have to go to a special market to invest your money. All you have to do is go house hunting like you would if you were buying a home for yourself! Plus, there’s plenty of help out there for people that may want to learn a bit more. You will find loads of advice for property investors on the internet or in magazines. It’s a really easy way of getting your foot in the investment door. If you’re looking to make an investment without loads of complications, property is the way to go. In my opinion, one of the best things about investing in property is that there are different ways to make money. You can easily make money by investing in a property and sitting on it until the time is right to sell. This is a tried and tested method that requires no work at all and can get you some money. The key is finding one that you can buy for cheap and then watch its value grow with the market. But, you can also invest in a run down property and then fix it up and sell it for more than you paid for. This is another popular method of making money and it can be done in a short space of time. The whole process could take you less than a year if you do it right. And, finally, you make money through letting properties. If you invest in a property, you could choose to rent it out to other people. Many people can’t afford to buy homes, so they look to rent houses instead. If someone rents your property, you’ll be getting money from them every month. It’s a slow and steady process of making money from your investment.